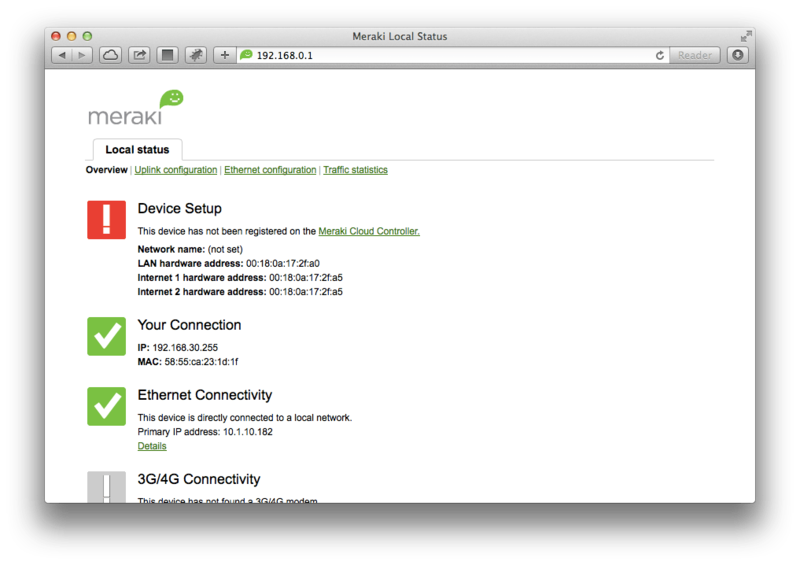 Most Meraki appliances come with DHCP enabled on the WAN interface. Once you connect to the Internet through such a configuration you can claim the device using your Meraki account and then configure it. However, what if the Internet connection at your location won’t actually work with a DHCP WAN address. If you need to configure a static WAN address in order for your appliance to connect to the Internet then you’ll need to first connect an Ethernet cable to a LAN port of your appliance and your computer and make sure to disable any other interfaces on your computer. 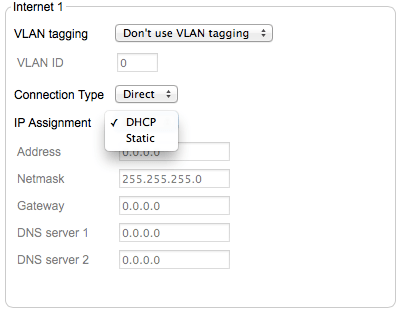 Also configure the network settings to use DHCP. Then open a web browser and connect to the built-in web service using http://setup.meraki.com which redirects to the device when accessed. At this point, you may encounter an issue where the page doesn’t load. If that happens, check to see if you can ping 192.168.0.1. 192.168.0.1 is the default IP address of the appliances. If so, load that address in the browser instead. Click Uplink configuration. When prompted for the username and password, use admin as the username and then the serial number of the device as the password unless a password has already been assigned to the device. The Uplink Configuration page loads so you can configure the WAN information. Choose Static in the IP Assignment field. Once configured, save your changes and the device should then update to the Meraki cloud.